Mayline 947 Computer Cart on Wheels Anthracite by Mayline at Momiji Studios. MPN: MAYDE00640-Anthracite. Hurry! Limited time offer. Offer valid only while supplies last. 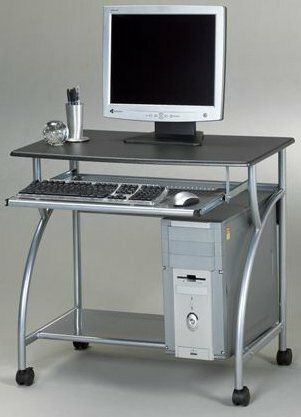 OFM 66746-MPL Mobile Locking Utility/Fax/Copy Table, 30" x 23.25"